Capturing the essence of your pet's Best Day Ever. 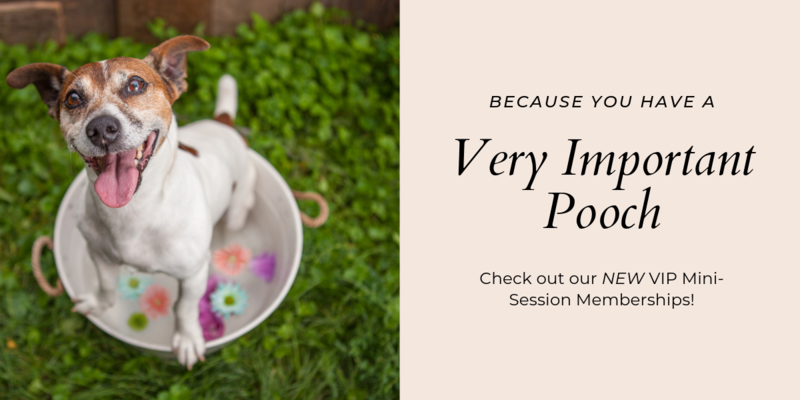 Laura's award winning Treatface sessions are sure to bring out the character of your pet! I try and take Abby with me, to as many places as I can. Not just because it’s easier than leaving her at home alone (which is near impossible), but because I like being able to keep up her training, in a wide variety of places. A dog that can only sit, stay, come at home, or in the backyard.. well.. that’s just not very useful. We constantly hear people exclaim “She’s such a good dog! I wish my dog was that good.” or “Wow, your dog is so well behaved!” We’ve gone to Canadian Tire, and cafe’s (some will let you pop in quickly to buy a beverage – and other dog cafe’s encourage you to let your dog roam off leash), we’ve been to festivals, and busy parks, we’ve been to the drive-in theatre, and in hotels. We didn’t get here by accident, and we’re not perfect (FAR from it). I used to be one of those onlookers, who had a wild and crazy 80lb dog that I couldn’t control. Watching the heeling dog trot by his owners side, thinking “I wish I could have an easy dog like that”. 2 years ago, walking her would consist of her dragging me until she wretched from the collar choking her so much. There was a day that I ended up crying, sitting on the sidewalk, and had to be talked out of returning her to the rescue. Days where I hated her SO much, I had to walk away before I raised more than just my voice. Days where I would cry, begging her to be okay alone, because I longed to be social again. Abby is not easy. She’s incredibly smart, and picks up on obedience and tricks very fast, which is nice. But she is also smart enough to constantly challenge your commands, and smart enough to get bored of typical play or exercise. She needs more mental stimulation than normal dogs. She needs a network of special people to sit with her for hours if we need to go out, because at this point she cannot be kenneled, and cannot be left alone – longer than 30 minutes. Her anxiety over groups of people means that she snaps and lunges sometimes, very unpredictably, and without much ‘notice’. People don’t see the bad days when we take her out, they only see this perfect, handsome dog that I’m sure some people wish they had. Abby is a good dog. But we did NOT get here by accident. 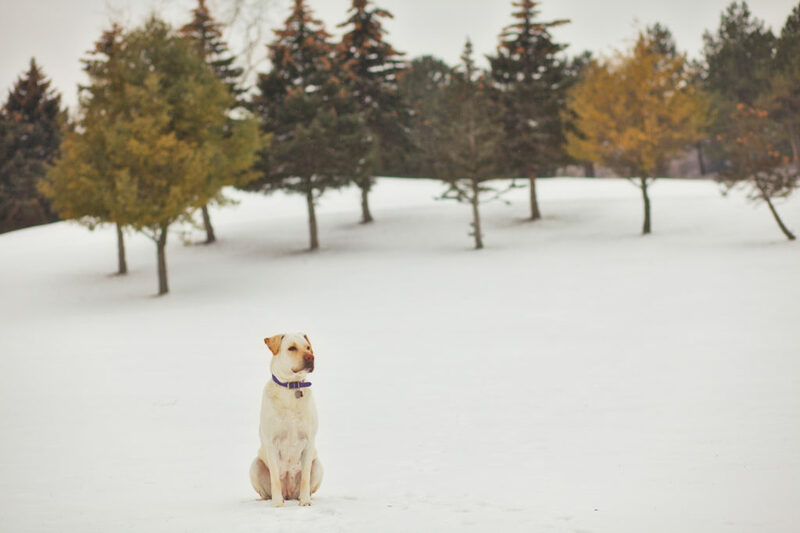 The photo of her sitting at the golf course, off leash.. that took months of off leash training, it took daily commitment. It took money, and research. She will heel in public, walk by dogs without giving them more than a passing glance. She will sit when I stop walking, and stay when I tell her. She resists all urges of chasing squirrels if I tell her to leave it (most of the time). We’re even seeing progress with her anxiety, even after I feel like we’ve tried absolutely everything. Finding a good trainer, well versed in behaviour modification, is hard to do. We’ve had many consultations, with some trainers even telling us they can fix it by teaching us how to walk better (without even seeing us walk). We’ve had trainers berate us for the techniques we’ve used so far (prong collar and e-collar) but I can tell you one thing without a doubt, if we hadn’t used those tools, we wouldn’t have a dog, and I’m certain they’ve saved her life. Now we’ve found a trainer that’s going to save our (social) life. We’ve started working on her anxiety, and we feel hope once again that Abby will eventually have the confidence to be calm and relaxed without us home. Many thanks to The Dog Philosofur for giving us hope again, it’s hard to find the right person to fit with your dogs needs and learning style, but I feel like we’ve found a gem. For the last 10 months I’ve been doing a lot of volunteer work with local rescues, including taking cute photos of the pups (and sometimes cats and rats) available for adoption. It’s been some of the most heartbreaking work, as I see dogs come in that are broken, starving, scared, and sometimes quite ill. It’s also been very heartwarming, seeing how these dogs still have faith in us to care for them, despite their past. They still have lots of love and cuddles to give us, despite their history. I’ve seen a family break down into tears upon meeting their new family member, coming in off transport. These dogs deserve all the love we can give them, and since I can’t adopt ALLLLL THE DOGS, the best I can do is give them the best chance they can get at finding their new forever home. The thing I notice about rescue photos, the dogs sometimes look scared. 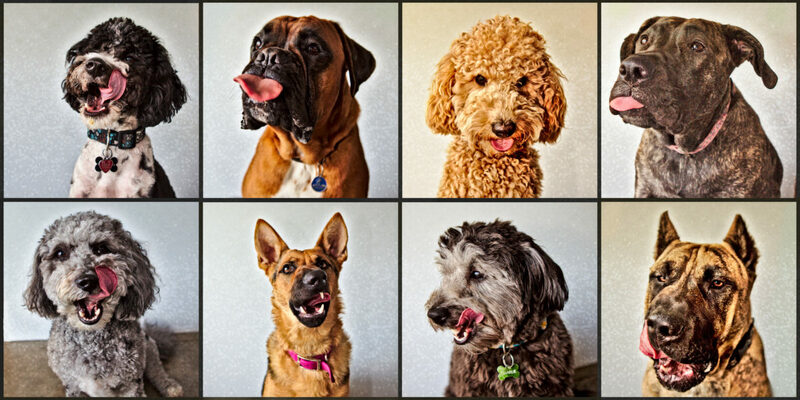 They’re usually blurry cell phone pics (trust me, as a professional dog photographer, I am very aware that dogs – especially nervous dogs – move around very quickly). 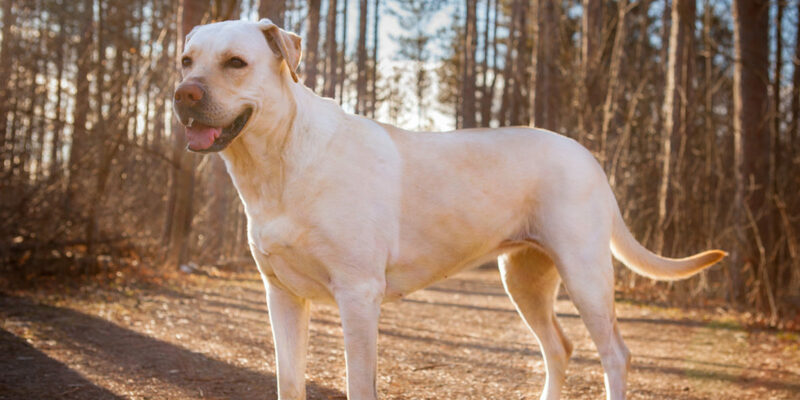 When people are scrolling through facebook friend statuses, a blurry dog pic is likely to get lost, because it’s not unique. Everyone posts blurry cell phone pics of their pets (even I’m guilty of this..) What stands out, what gets a dog noticed? A clear, well edited picture of a cute pup. This sometimes takes a lot of patience, treats, and exercises in trust. Anyone that’s visited my site/facebook page/instagram, knows that my dog Abby is one of the most photogenic/handsome/cute/adorable/expressive dogs. But let me share with you her photo that was sent to us when we agreed to foster her. That’s no doubt our Abby. But she doesn’t have the same spark that comes across in all our pictures. Even in the pictures that I took of Abby in the first days she came to live with us, she oozes personality. What I’ve heard from the rescues I’ve worked with, the dogs get a lot more applications, social media shares, attention when they have professional photos of the dogs. Even the most scared pups, with enough patience and trust, allow you to capture them completely relaxed. When we get a dog adopted into a loving home, you’re saving two lives. 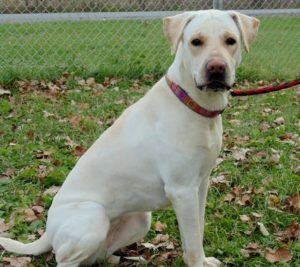 The dog that just got adopted, and you freed up a rescue spot for a new dog that is in desperate need of a new chapter in their life. I love my job, I know that I have a large impact on these animals that just need to know they’re going to be loved and cared for. Someday we’ll open our home to foster another dog, but for now, I am happy knowing that I play a role in successfully rehoming these dogs. **Recently I created a Family Day campaign for a rescue, making fact posters for each of the dogs up for adoption. Previous to these posters, this rescue would get between 0 and 5 shares on any post regarding a dog available for adoption. With these informative posters, they were getting around 25 shares per poster! THIS IS AMAZING. What’s even better? 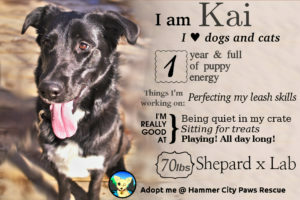 Is out of the 8 posters I created, 4 dogs have been adopted, and the rescue has interest & applications on all the other pups, in just over a week. Best feeling in the world.